Update: this post was written before the Gravity Forms add-on framework was a thing. Everything is much simpler now using that framework, and its field framework, so please refer to that now. This post is preserved for historical amusement only! First off, I have to give props to Travis Smith for his tutorial for building custom fields in Gravity Forms. This tutorial gave me an incredible kick-start on the path to building custom fields. 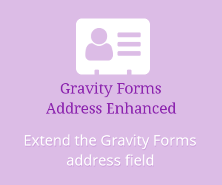 If you want to know how to build custom fields for Gravity Forms, go read Travis’ article now! Go on, I’ll wait. You’re back? Good. Now, I’m not going to get into details, since you’ve already Travis’ article and know the basics. What I’m going to do here is list the hooks I used, and why. What I built was a couple of pretty complex fields that needed to support multiple front-end form inputs per field, nicely formatted listings and detail views at the back end, CSV exports, and calculations. If I explained it all in detail, it’d take me all night. Each hook is linked to the Gravity Forms documentation, so you can get more detail there.